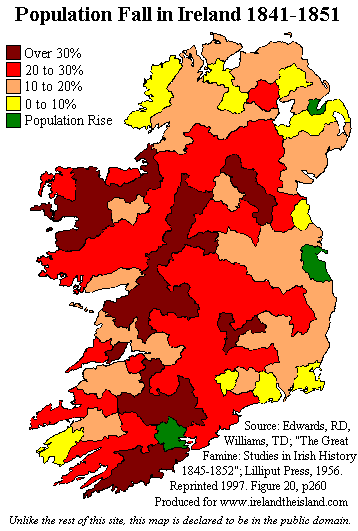 This map shows the catastrophic decline in the population of Ireland during the decade from 1841 to 1851. 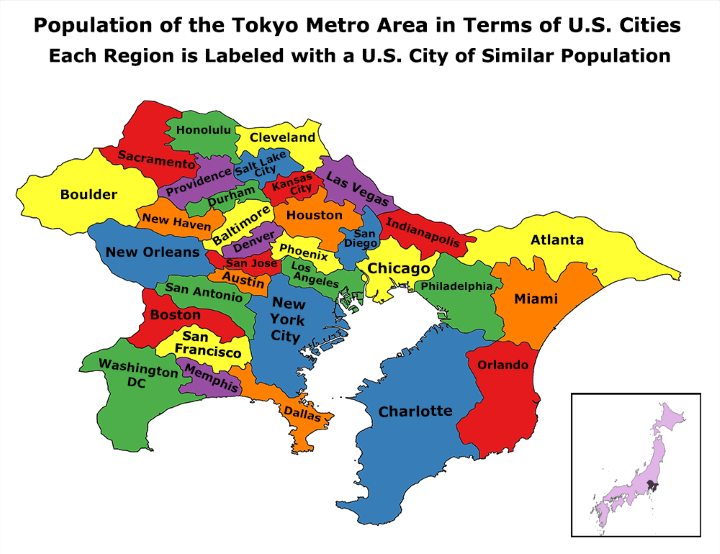 The census taken in 1841 recorded a population of 8,175,124, while the 1851 census counted 6,552,385, a drop of over 1.5 million in 10 years. What If The EU Had 28 Member States With Equal Populations? 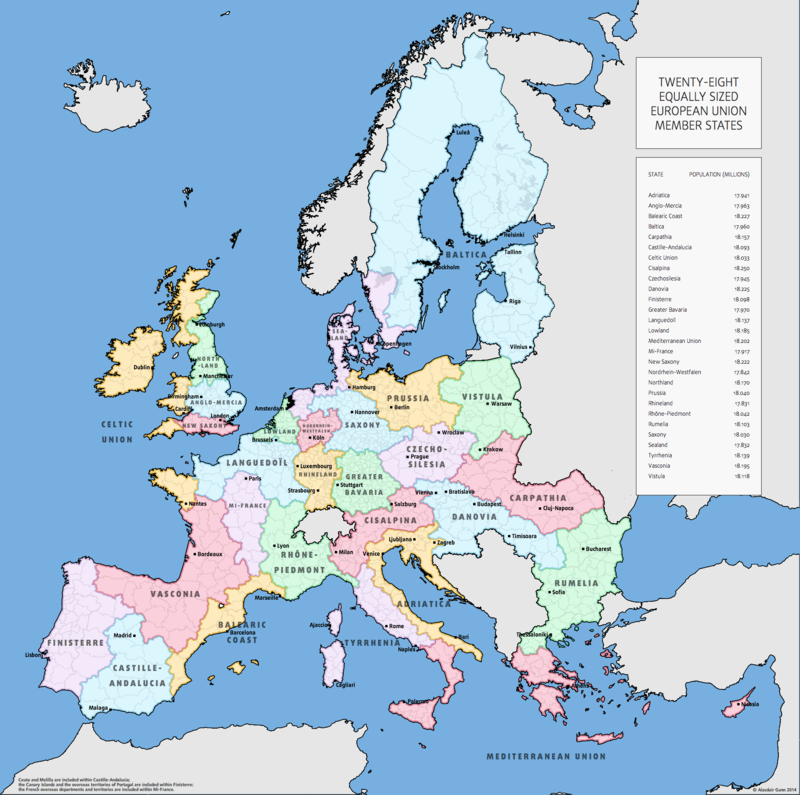 The European Union’s (EU) 28 member states vary enormously in population. From tiny Malta with just 425,000 people to Germany with 81 million. 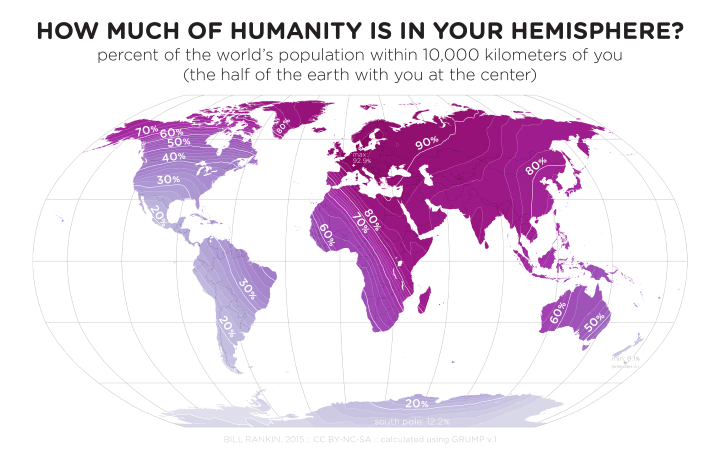 But what if they all had the same population? How would the map look? 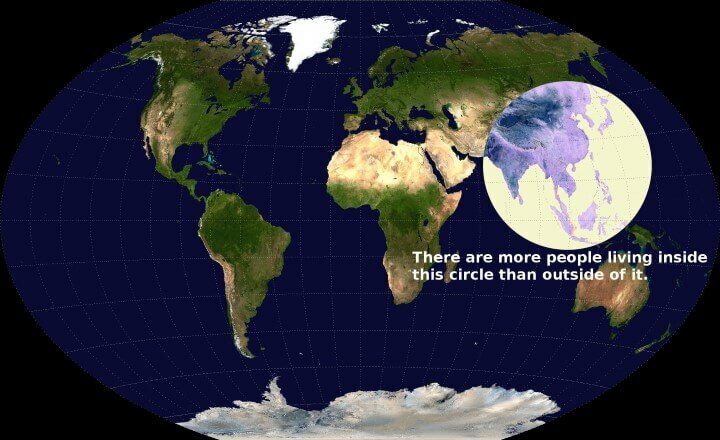 The map above shows one the craziest facts about the world: there are more people living inside the circle than outside of it. However, that’s not the only thing the circle contains. 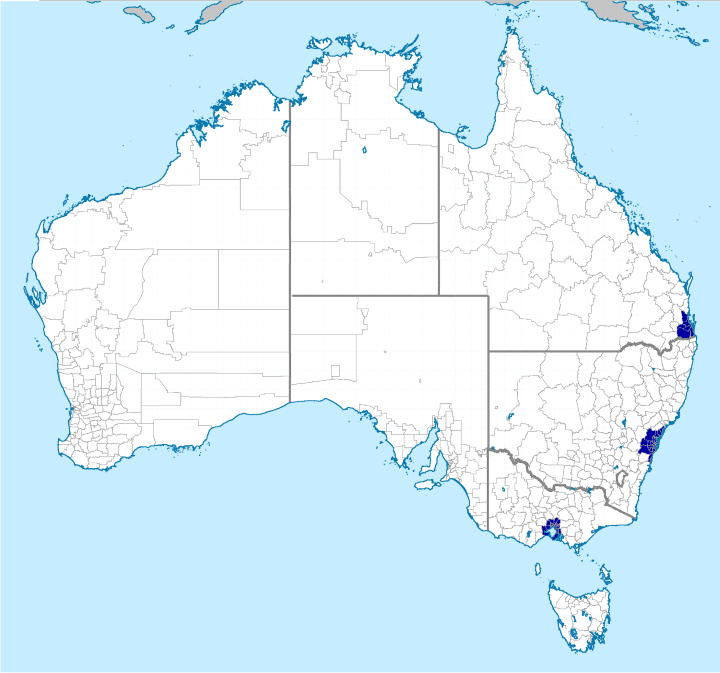 The 3 areas in blue above, contain roughly 50% of Australia’s population, which means that the area in white contains the other 50%. 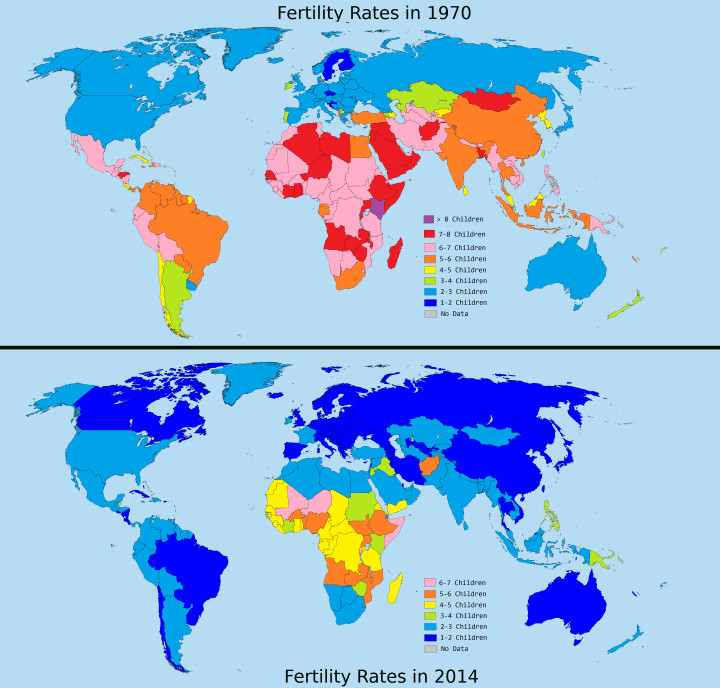 The map above shows one of history’s most astounding global shifts; the drop in fertility rate between 1970 and 2014. 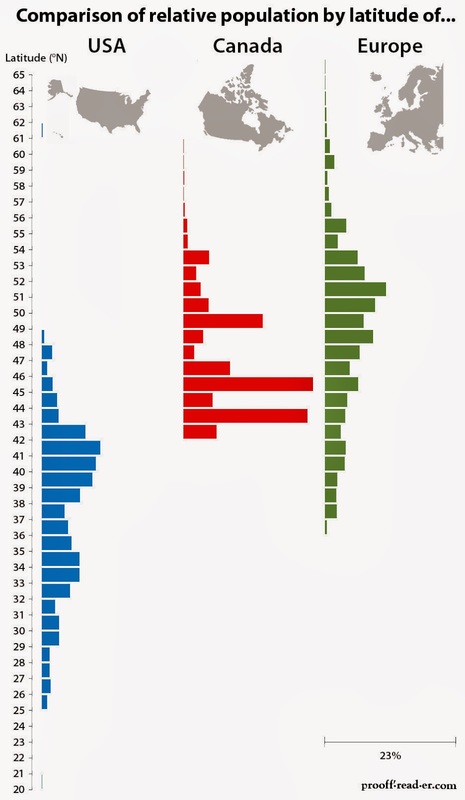 The total fertility rate (TFR) is the average number of children born to each woman in a country. 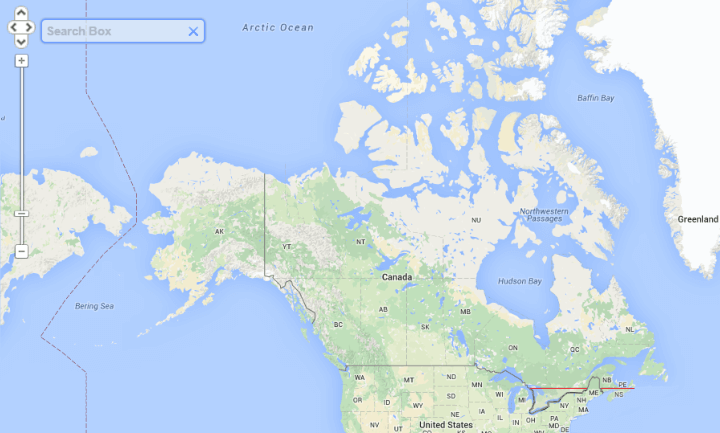 It’s important because, it’s an easy way to tell if a country is growing or not, excluding immigration/emigration.